Wherever you live, being a resident & not a tourist always means that a special effort is needed to visit special sites. This is definitely the case with our children in London. Even though we only have a few hours after school into which to fit these trips, it’s always worth the effort. Sometimes of course there’s an after school activity, the weather is too awful, they’re tired, want an early supper or have homework to get done. Some are better than others, but this week’s visit was brilliant. Francis & I cycled across Hyde Park to the Serpentine Gallery, but spent more time in its sister gallery, the Sackler Gallery, currently showing Julio Le Parc’s (b. 1928) amazing exhibition. Francis loved it, as all children will, as well as their parents. 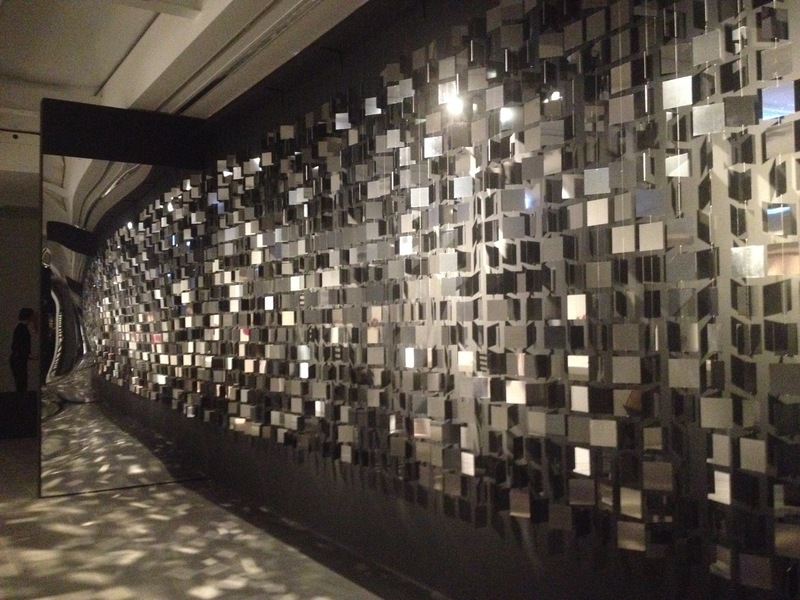 He uses mirrors & lights to great effect & has created a really touchy feely, accessible, hands on exhibition. The very stylish Magazine restaurant is attached to the gallery, where I’m planning to head with my laptop one grey morning next week – great to have a change of scene & to focus on one particular task. Without young children, it’s very easy to hire a Boris [Barclays] bike for £1 per day, cycle round London & get to see the sites.